Tata Ace Gold Mini Truck features, Mileage, Brochure, Gallery etc. In 2005 Tata Motors pioneered the small commercial vehicle industry with the launch of Tata Ace. Since then, Tata Ace has been providing significant economic and social benefits to all its customers and the entire ecosystem itself. Chotta Hathi as it is popularly known, the Tata Ace has helped over 20 Lakh customers become successful entrepreneurs and is the largest selling CV brand in India. The first version of Tata Ace started the evolution of the Small Commercial Vehicle segment, revolutionizing the last mile distribution in the country and very soon became a legend in the Commercial Vehicle Industry. The equity of the legendary Tata Ace is unparalleled and it enjoys a strong emotional connect with the customers. The legendary Tata Ace is now back as Tata Ace Gold. 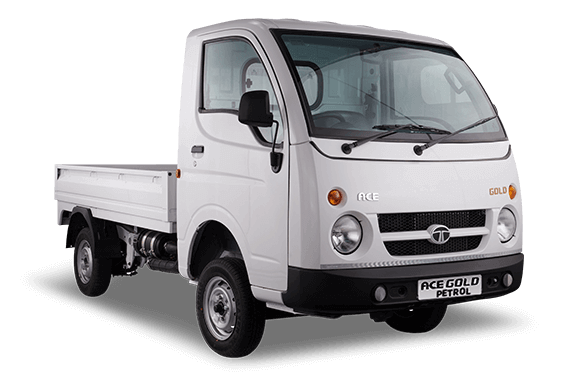 The Tata Ace Gold comes with the popular legendary front fascia, steering wheel with improved ergonomics and a utilitarian dashboard, while carrying forward the DNA of the proven aggregates of Ace HT. All the unique benefits and advantages of the most versatile Small Commercial Vehicle continue to provide the best operating economics and highest earning capacity for its customers. The Tata Ace Gold is aggressively priced making it even more attractive proposition for its customers.